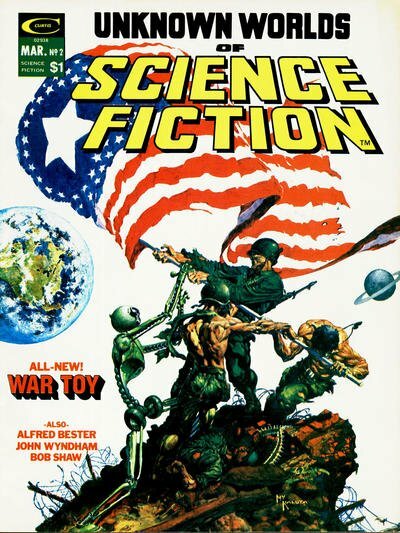 Click Here To See Unknown Worlds of Science Fiction #2 Magazine! Check out this very nice 1975 SPLASH, which was penciled by the great George Perez, and inked by the great Rico Rival, from the story titled: "War Toy!" 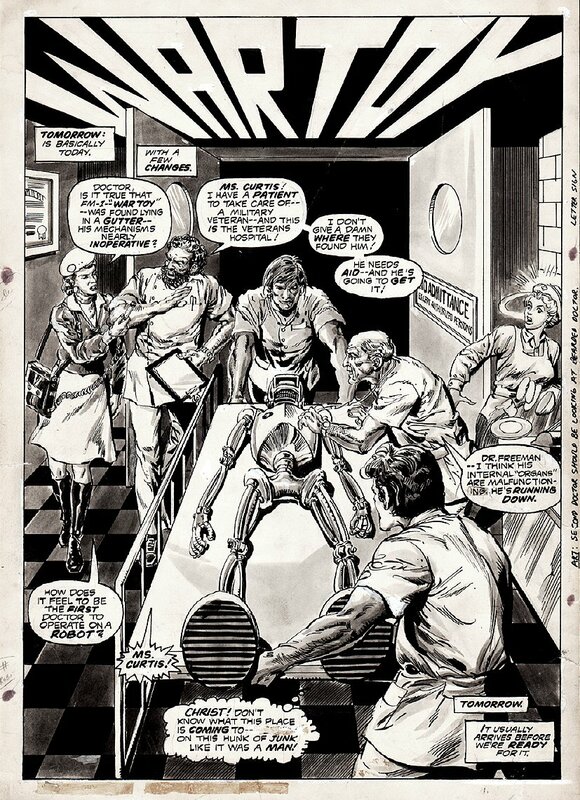 This nice looking WASH TONED SPLASH features very detailed line work as several doctors and nurses try to save the life of.....A ROBOT! Just a great opportunity here to own a NICE George Perez bronze Age splash! There are a few small tears the reach into the artwork and there are a few minor creases, with magic tape piece used on the back side. ALL art on our website (including this one) are able to be purchased with VERY fair time payments, and trades are always considered towards "ANY" art on our website! Just send us an email to mikeburkey@aol.com and we can try to work something out.